The U.S. Department of Homeland Security and particularly its U.S. Customs and Border Protection (CBP) have a "Trusted Traveler" program called "Global Entry." See GlobalEntry.gov. Most likely, as international lawyers, many of us are already members of Global Entry, and receive expedited international traveler clearance by CBP upon arrival to the United States. Plus, we get the extra advantage of automatic membership in TSA-Pre. There are now more than two million members in the Global Entry program. Unfortunately, the reality for many applicants to Global Entry is that their applications are denied, and current members can have their membership revoked by CBP for one reason or another. This article will describe eligibility requirements for membership in Global Entry, the benefits of membership in Global Entry, how to apply for membership, and, importantly, how you can challenge any denial or revocation of membership with CBP. Global Entry is a CBP program that allows expedited clearance for preapproved, low-risk travelers upon arrival in the United States. At airports, program members proceed to Global Entry kiosks, present their machine-readable passport or U.S. permanent resident card, place their fingerprints on the scanner for fingerprint verification, and complete a customs declaration. The kiosk issues the traveler a transaction receipt and directs the traveler to baggage claim and the exit. Global Entry members are eligible to participate in TSA Pre. U.S. citizens and U.S. lawful permanent residents enrolled in NEXUS or SENTRI are also eligible to participate in TSA Pre, as are Canadian citizens who are members of NEXUS. 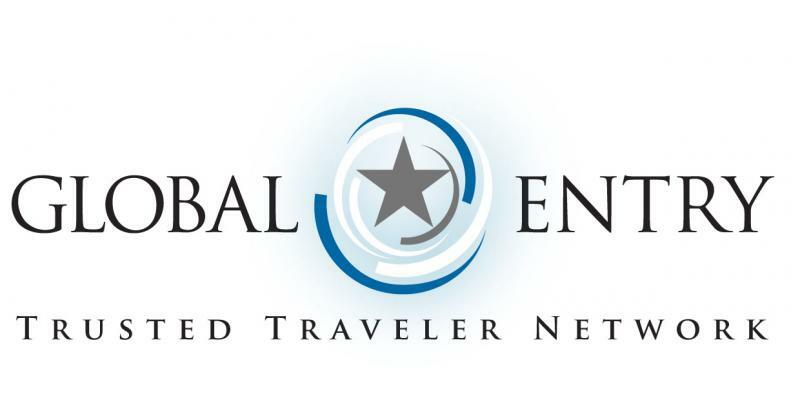 A Global Entry member or eligible NEXUS or SENTRI member may enter his or her membership number (PASS ID) in the "Known Traveler Number" field when booking airline reservations. Better yet, enter your PASS ID into your frequent flyer profile with the airline. The membership number enables Transportation Security Administration's (TSA) Secure Flight System to verify that you are a legitimate CBP Trusted Traveler and eligible to participate in TSA Pre. Global Entry is CBP's most popular Trusted Traveler program. But not everyone is eligible. U.S. citizens, U.S. lawful permanent residents, and citizens of the following countries are eligible for Global Entry membership: Colombia, United Kingdom, Germany, Panama, Singapore, South Korea, and Mexico. Canadian citizens and residents are eligible for Global Entry benefits through membership in the NEXUS program. Please note that applicants under the age of 18 must have a parent's or a legal guardian's consent to participate in the program. Travelers must be pre-approved for the Global Entry program. Global Entry is a voluntary program available to travelers who pass a comprehensive background investigation. There is a computer check against criminal, law enforcement, customs, immigration, agriculture, and terrorist indices to include biometric fingerprint checks and then a personal interview with a CBP officer. Most applicants receive a formal letter that states, in part: "We are pleased to inform you that your U.S. Customs and Border Protection (CBP) Global Entry program membership has been approved. You may use the program as soon as you receive and activate your new Global Entry card." 6. Cannot satisfy CBP of his or her low-risk status. Now you realize the benefits of membership in Global Entry and you are eligible to apply for Global Entry, so the next step is to apply. The steps are very simple. 1. Create a Global Online Enrollment System (GOES) account. 2. Log in to your GOES account and complete the application. A U.S. $100 nonrefundable fee is required with each completed application. 3. After accepting your completed application and fee, CBP will review your application. If your application is conditionally approved, then your GOES account will instruct you to schedule an interview at a Global Entry Enrollment Center located at most international airports. Each applicant must schedule a separate interview. 4. You will need to bring your valid passport(s) and one other form of identification, such as a driver's license or ID card to the interview. If you are a lawful permanent resident, you must present your machine-readable permanent resident card. In the event an applicant is denied or membership has been revoked from Global Entry or other Trusted Traveler program, the person should be provided information in writing detailing the reason for this action. Unfortunately, the reality is that the standard statement provided to the applicant merely concludes: "You do not meet the program eligibility requirements." For members whose membership is revoked, the standard instruction from CBP is "You have been found to have violated CBP laws, regulations, or other related laws." That's it; nothing else is provided. The only appeal to such a denial or revocation is a written appeal to the CBP trusted traveler ombudsman to request reconsideration. I have seen many applicants, including attorneys, be denied membership in Global Entry. There are a variety of reasons for such a denial, including: juvenile criminal history, immigration problems, court expunged criminal information, and questionable international travel history. Even a shoplifting or assault misdemeanor is sufficient for CBP to deny an applicant membership in Global Entry. A violation that occurred thirty or forty years ago or was committed in another country is sufficient for CBP to deny membership in Global Entry. The U.S. Department of Homeland Security has extremely extensive data available to it worldwide to determine whether someone is a low-risk international traveler who should be admitted into the Global Entry program. If you believe your data is private, when it comes to the U.S. Department of Homeland Security, think again. If an applicant believes he or she is exactly the type of low-risk international traveler that the members of the Committee on Appropriations were contemplating in funding the Global Entry program, the applicant, through his or her customs attorney, should file a request for reconsideration with CBP. The Global Entry program was authorized by the Intelligence Reform and Terrorism Prevention Act of 2004 (hereinafter "IRTPA"). See 8 U.S.C. § 1365b(k). The IRTPA instructs the Secretary of Homeland Security to "establish an international registered traveler program" in order to "expedite the screening and processing of international travelers, including United States Citizens and residents, who enter and exit the United States." 8 U.S.C. § 1365b(k)(3)(A). The Secretary was further instructed to "initiate a rulemaking to establish the program [and] criteria for participation," and ensure that the program "includes as many participants as practicable by . . . providing applicants with clear and consistent eligibility guidelines." 8 U.S.C. § 1365b(k)(3)(C), (E). The applicant gets one chance to appeal a denial, and a member gets one chance to challenge revocation of membership in Global Entry. There is no judge, no hearing, no discovery, no face to face meeting, or even a telephone call to the deciding official at CBP. As stated above, CBP has absolute discretion to grant or deny Global Entry membership. Moreover, it does not have to provide any specific reason for denial or revocation of membership. In conclusion, I recommend anyone who is eligible for participation as a member in Global Entry to apply. For those who have a Platinum American Express card, the $100 application fee is waived. Acceptance is routinely made within a few weeks. For someone like me who travels from China or Japan on a 16-hour flight back to the United States, I want to clear CBP and get out of the airport as soon as possible. Global Entry does that for you. If, by chance, an applicant is denied or a revocation occurs, the person should seriously consider challenging that denial or revocation because it may have been made by CBP without complete information. Appeals are successful in getting previously denied applicants accepted into the Global Entry program or to reactivate members whose membership has been revoked. Peter Quinter is the chair of the Customs and International Trade Law Group at the law firm of GrayRobinson PA. Based in the Miami, Florida, office, he represents U.S. importers and exporters, ocean and air carriers, warehouses, trucking companies, and overseas manufacturers and shippers regarding compliance with the import and export laws and regulations of the United States. 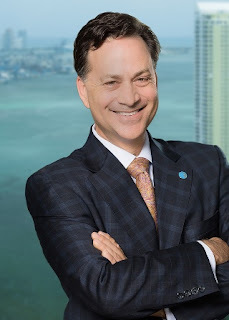 He is board certified in international law, author of the popular GRCustomsLaw.com blog, a frequent international guest lecturer on customs and international trade-related topics, past chair of the Customs Law Committee of the American Bar Association, and past chair of the International Law Section of The Florida Bar.